The South West of England covers an area including the West Country, part of Wessex and the Cotswolds. The counties that are featured in this Cottage Holiday guide are Cornwall, Devon, Somerset, (The West Country) Dorset and Wiltshire (Wessex) and Gloucestershire (Heart of the Cotswolds). This region is an area of extreme beauty, the place of my childhood holidays and now I have the privilege of calling Devon my home. If you are looking for old England, an England full of picturesque villages, towns and countryside, of ancient hedgerows, fantastic coastlines and unspoilt beaches, enchanting cottages and gardens and great local, seasonal food then you may have found your dream destination. The weather here is slightly milder than the rest of England and it may come as a surprise to know that palm trees, olives and grapes for wine grow here. So as you can imagine this region has glorious castles, churches, country gardens, country houses and cottages and cottage gardens for you to discover. Areas of outstanding beauty in this region of England: AONB. There are thirty-three areas of outstanding natural beauty in England, this region has twelve AONB listed below. These areas have been protected because they are an area of distinctive character and natural beauty and have been protected for the Nation to enjoy. They all have something unique either history, culture, fauna, flora and are all gorgeous and well worth a visit. Cornwall: Rugged coastline sea and sand a surfers paradise. Fishing villages granite and slate cottages. Isles Of Scilly (Off Cornwall): A haven for nature. 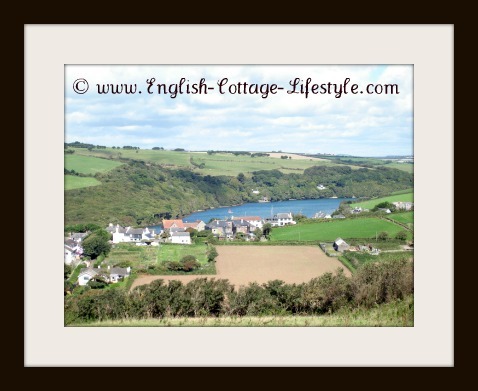 South Devon: The glorious South Hams a cottage paradise wonderful beaches and gentle countryside. East Devon: Lovely green rolling countryside and more coastline to discover. North Devon: Dramatic coastline and inland farms. Tamar Valley (Devon/Cornwall): Picturesque rural idyll with stunning villages. Quantock Hills (Somerset): Small but densely packed wilderness. Blackdown Hills (Devon/Somerset): Dramatic and steep bordering Somerset and Devon. Dorset: Thomas Hardy’s rural Dorset has little changed. Cranborne Chase And The West Wiltshire Downs: (Wiltshire/Dorset/Somerset/Hampshire): A belt of chalk land and fertile forest. Cotswolds: (Gloucestershire/Somerset/Wiltshire/Worcestershire/Oxfordshire/Warwickshire): Ahh...The Cotswolds…a ‘must see’ for the cottage lover. Mendip Hills (Somerset): Limestone country with the Cheddar Gorge and Wookey Hole caves. For you and your dog, if you have one. Lets get those walking boots on. These are tales of my walking experiences. I will let you know if they are dog friendly too. Dartmoor: This areas last wilderness, wild Dartmoor ponies and stunning bleak landscape. Exmoor: Wild Exmoor ponies and a coastal view to Wales. New Forest: A part of Wiltshire (and Hampshire) wild ponies hide amongst the ancient forest. South West Coast Path: Hugging 600 miles along the north and south coasts, walk a part or all. The Cotswolds Way: Gentle Wolds, grazing sheep and stone villages, England’s favourite countryside. The South West loves it’s food. Famous for Cornish pasties, Cheddar cheese, cider and Devonshire cream teas, not to mention all the fantastic seafood that the coast provides. This region loves to celebrate food and the entire month of October is the South West food festival…and that’s just for starters! 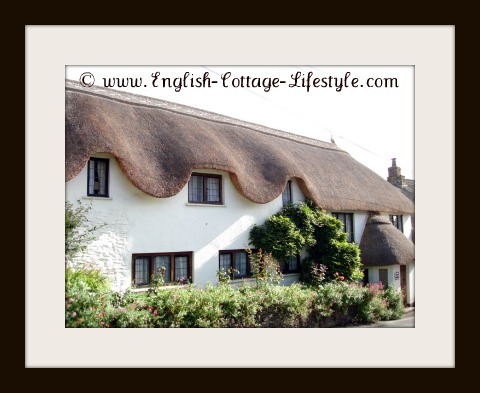 Shops and resources for living the English cottage lifestyle. The South West is a great place to stock up on treasures for your cottage from Honiton lace to local artisans crafts I will find them and let you know. Each ‘Cottage County’ guide will give you more information. Click the links on Cornwall, Dorset, Devon, Somerset, Wiltshire or Gloucestershire to find out more. Stay in a holiday cottage in your favourite destination.